Over the last decade, the use of glass in home décor has become more and more popular as a result of the ever-growing minimalist and industrial trends sweeping the world of interior design. The use of glass within staircases is particularly prevalent, as solid and opaque-looking staircases can appear bulky and intrusive, especially in smaller properties, while glass balustrading and risers let the light through, suggesting a greater sense of space and a brighter feel. Of course, glass does need a reasonable amount of upkeep to ensure that it looks its best, as grubby hands and dust can dull its shine. Here are some tips to save you time and prevent future problems while helping you to simply and easily keep the glass elements of your staircase and balustrade components glistening as they should. 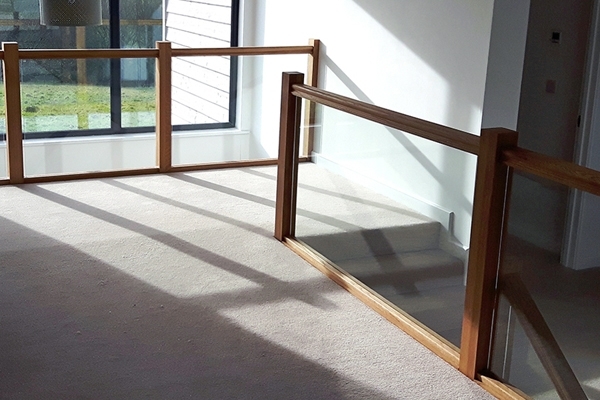 Balustrading glass panels should be toughened glass, and this can be treated with a self-cleaning finish that is dirt and water repellent and also works towards making each screen scratch and mark resistant. Arranging this coating to be applied when your glass is first fitted can prevent a multitude of headaches and expense further down the line, and will make the cleaning process far quicker and much less arduous. It’s your home, and naturally you’ll want to move things up and down the stairs as and when you require. The great thing about glass is that it’s far easier to wipe clean than wood should any accidents occur, but it’s still definitely worth tackling spillages as soon as they happen in order to prevent any liquid seeping into joints and corroding or staining material. The protective finishes mentioned above can go a long way towards preventing scratches, but it’s definitely worth taking extra care when moving things up and down the steps when you have a lot of glass around. While toughened glass is exceptionally strong, it cannot be repaired once it cracks, so damage can prove extremely costly! Tissues or flannels and warm water won’t always cut the mustard when it comes to keeping your balustrades clean and shiny. Greasy fingers can leave a pretty stubborn residue, and many cleaning products will simply spread the problem and leave the surface dull and dirty looking. It’s definitely worth investing in good glass and metal polishes as well as suitable cleaning cloths to make cleaning quick, easy and effective. 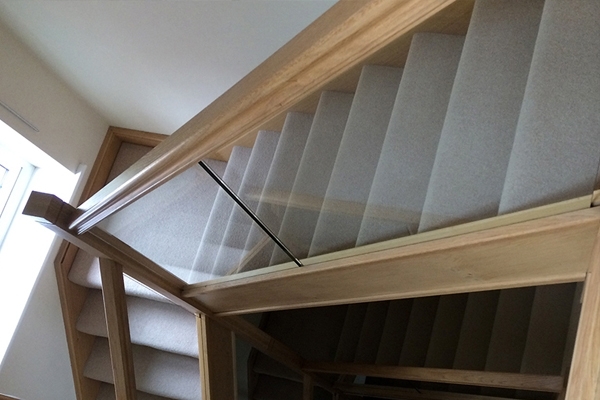 It’s important to choose a trusted brand and an experienced, well-reviewed fitter to install your staircase, but - even with the utmost care - you may discover that wear and tear takes its toll further down the line. Kids can swing on newel posts, slide down bannisters and bump heavily down steps, pets can claw and scratch, and the odd piece of furniture being shifted to a new location may mistakenly swing or be dropped, knocking into a glass panel. Accidents happen, and even the strongest of structures can be affected by the passage of time. If you notice any problems such as wobbly fittings or small cracks, it’s important to get them seen to as soon as possible to prevent the issue worsening - something that can happen surprisingly quickly. Be sure to check with the manufacturer about any guarantees that may be in place and how long the warranty on your staircase or balustrade will last when you first discuss the design you require. 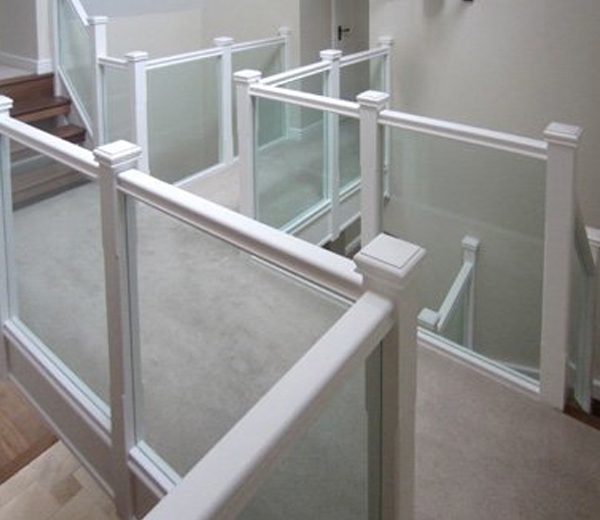 Glass balustrading is hard wearing, easy to clean, beneficial to the surrounding aesthetic and beautiful to look at. If you are well prepared, its upkeep and maintenance can be quick and straightforward too. 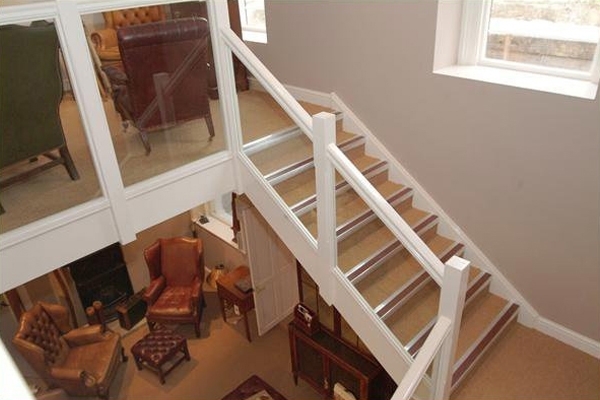 There are many options available when it comes to brand new glass and metal or fusion staircases and balustrading, so take a look at the styles available here at Pear Stairs today. You can even make use of our superb Stair Creator, which generates a detailed visualisation of your dream staircase based on the criteria you enter and provides you with an instant estimated quote. If you require further information, you can call our teams of experts on 01938 553311, email webenquiries@pearstairs.co.uk or fill in the handy contact form. The company also has an extremely useful Help & Resources centre online, which contains information about various types of staircase, staircase parts, the preparation and installation of a new set of stairs, technical information and up to date building regulations, meaning that everything you need to fit a new staircase or renovate an existing one is right at your fingertips.